The Black Stars have ended their 10-day training tour in Al Ain ahead of the 2017 AFCON which will begin this weekend in Gabon. 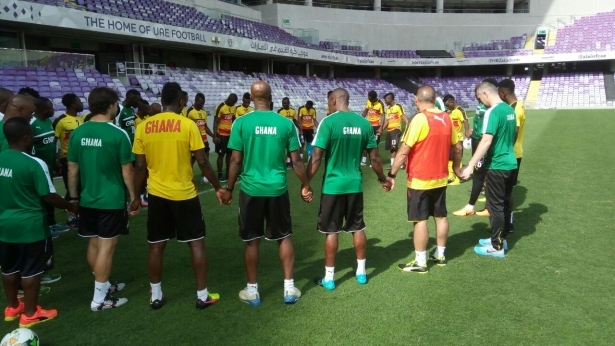 Avram Grant and his squad will travel via a chartered flight to Gabon after completing their camping in the UAE. The team will connect to Port Gentil, where Ghana will be based and continue preparations for their opening game against Uganda on Tuesday. The senior national team will also face Mali and Uganda in subsequent group matches. Ghana were runners up in the last edition of the competition two years ago.